A lifetime of wellness starts with proper nutrition and exercise. That’s why it’s our mission to educate our students about the importance of maintaining a healthy mind and body. 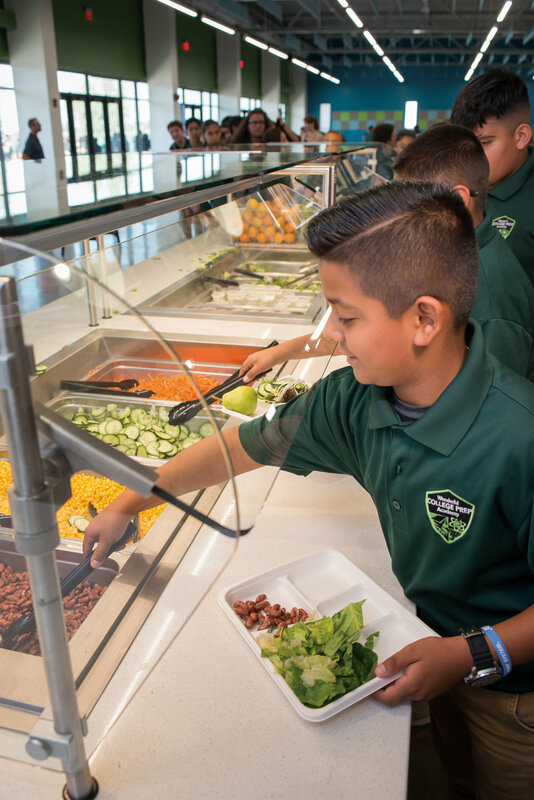 We not only provide three free healthy meals a day, we teach our students how to prepare healthy meals themselves. From seed to table, they learn the importance of eating fresh grown fruits and vegetables. In fact, students are farming 20% of the produce they consume. Harvest Hall is not your average school cafeteria. It is a state-of-the-art dining hall that delights in serving fresh, healthy fare. 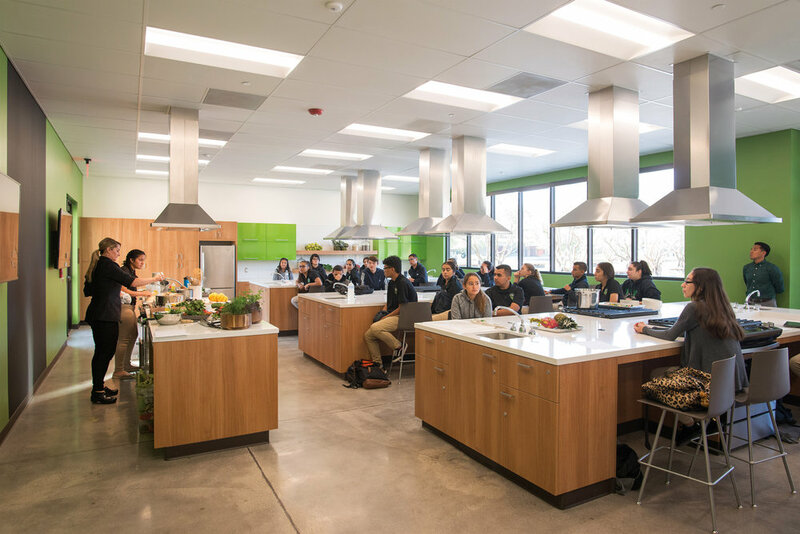 The open kitchens allow students to observe our chefs preparing delicious, nutritious meals from scratch every day. Students are also taught how to prepare their own healthy meals at our cooking stations. It is a feast for all the senses. Our Learning Gardens were planted with one notion in mind: to grow generations of healthy students. From seed to table, students learn to grow and harvest fruits and vegetables. At our Teaching Kitchen, they are taught how to make well-balanced meals from scratch with their homegrown harvest. This hands-on learning experience is just one more way we make learning personal, relevant and fun. Unfortunately, chronic diseases, like diabetes, affect many families in our community. 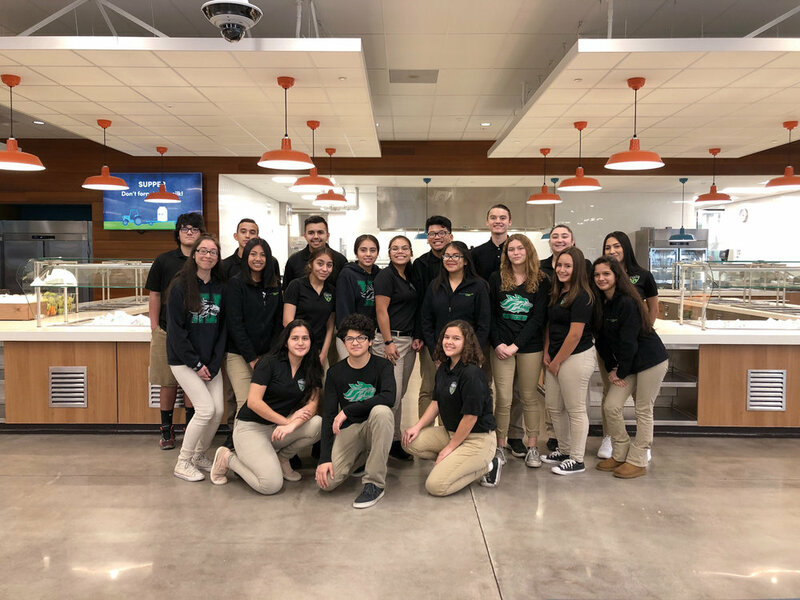 That’s why we offer an elective called the “Soldiers of Change” where students learn about health and marketing, with the goal of inspiring their peers and families alike, to lead healthier lives. And many of our student soldiers are stepping up to make a real difference. Because students are surrounded by so many unhealthy choices off campus, we’ve made it our mission to make school a junk food and soda free zone. We only serve healthy food—fruits and vegetables, whole grains, low-fat meals and snacks all deliciously prepared. Our full Nutrition Policy can be found here. Being active is an essential part of being healthy. That’s why we offer students the opportunity to be active at any level. We have open track during lunch for students to establish their own daily fitness routines. 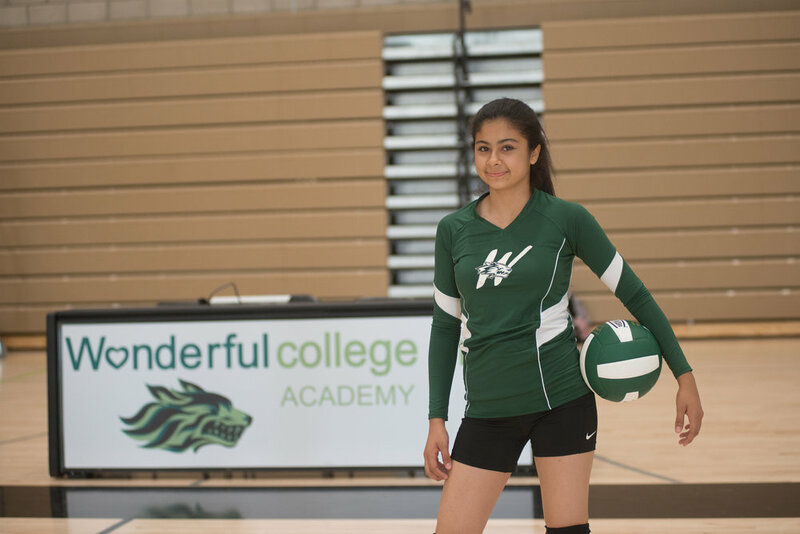 We also have 24 sports teams for grades 6–12, including high school soccer, basketball, volleyball, softball, baseball, cross-country and track & field. As well as middle school soccer, basketball, volleyball and flag football. Students can also explore their passions through clubs and activities, such as band, musical theater, leadership, STEM, robotics, mock trial and journalism.